I am not afraid to admit that I enjoy food. Good food. And I was lucky to grow up with a mother who was a good cook. But recently, I have been restricted in what I can eat. I was placed on a gluten free diet as one step in the treatment of an illness. However, having spent the past many years—well, all of my life, really—as a lover of all things gluten, this change has been a difficult one for me to digest… quite literally. But I have been trying to be good because I know that watching what I eat will help me to feel better. The other morning, while the kids were getting ready for school, we had a discussion of coconut macaroons. In fact, it became evident that the macaroons that I had been storing in my car—to keep them away from the hungry teenagers in my house—had traveled into the kitchen. What I didn’t tell the kids is that I bought a new container to keep in my car and I brought the nearly empty container into the house. 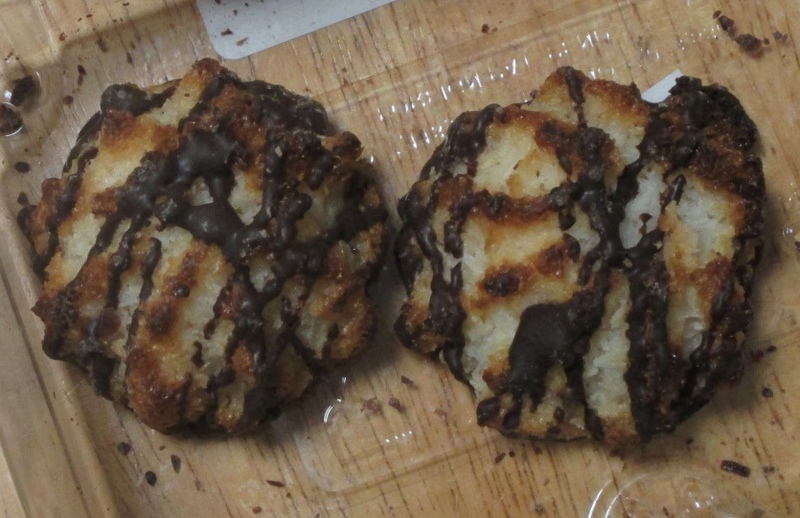 “Are those coconut macaroons?” W asked, a nearly imperceptible excitement in his tone. “These are gluten free,” I told him matter-of-factly. “You can’t eat them.” I was satisfied that my reasoning would work to convince him that I was right. W looked at me for a minute, his brows furrowed. He eyed the macaroons. “Mom, that’s not how gluten free works. People who are gluten free can’t eat food with gluten, but people who can eat gluten can also eat gluten free food.” Hmm, good point. Yep, my son tutored me in the whole “Gluten Free” thing because somehow, I missed the fact that I am on a one-way street. But that doesn’t mean I’m going to let him eat my macaroons! And if you happen to have a gluten free macaroon recipe, can you send it my way? Thanks! Earlier this week, I renamed our cats. Because I’m crazy like that. They are, after all, CATS, and they don’t really care what we CALL them, as long as we feed them regularly and let them sleep on the beds. In fact, they’d be happiest if they OWNED the beds. While I cooked dinner, the cats were swarming at my feet, their way of reminding me that they need dinner too, and I had a burst of whimsical inspiration I decided that the cats should all be named after characters from Shakespeare. I re-named them Puck, Lady Macbeth, and Desdemona. “Who is Puck?” C asked when I announced the cats’ new names. “And what play is Desdemona from?” he asked. “Hmm… let me think.” Shakespeare’s female characters all blend in my brain while I try to sort them out—Ophelia, Portia, Desdemona, Regan, Miranda…. They are like bright colors swirling in the white paint of my brain. Desdemona is from…. 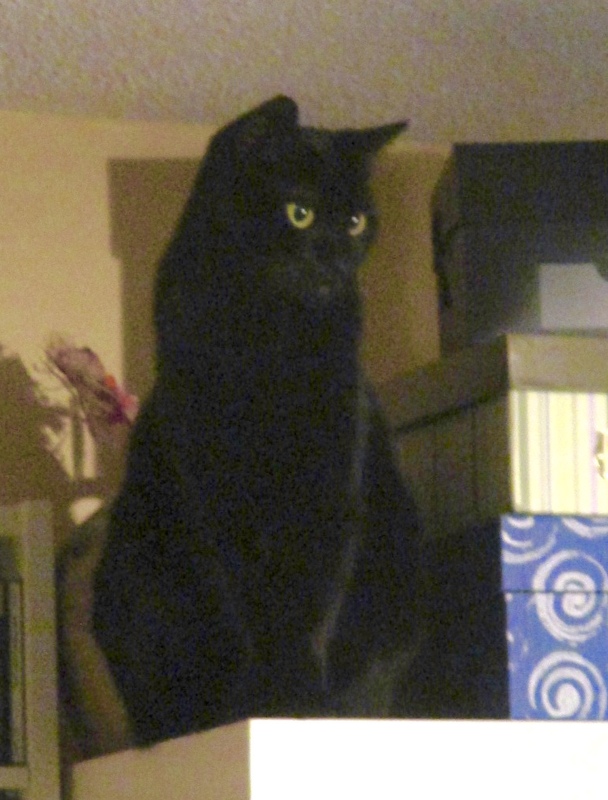 While I do think Desdemona is a very fitting name for my young lady kitten, the cat names… they were never meant to be serious. Perhaps we might keep it as a secondary name. The brief foray into renaming did accomplish a short discussion of Shakespeare, which is never a bad thing. C is continuing to call the cats by their “new” names, and every time he does, I smile. My literary cats. Just wait until I bring them to the vet. When Lady Macbeth (formerly Asia) shows up, won’t they be confused? Oh, I think I could have some fun with this…. My mixer died at the worst possible time. Last week, as we were preparing for Thanksgiving, my chef-son was making focaccia bread. He had a large lump of dough in the mixer being kneaded with the bread hook. The normal whir of the motor was strained, with skipping pauses each time the hook traversed the bowl. “That doesn’t sound good,” I told him, thinking he had put too much dough, or the dough was too stiff. It was a warning, really. I could hear the mixer deciding whether or not to continue its work. Now, don’t get me wrong. I know that mixers are supposed to, well… mix. But my mixer is 20+ years old, and because I am a baker, it gets a lot of use. Every year at this time, it whips up batches of gingerbread, sugar cookies, butter cookies, chocolate pretzel cookies, and armies of snowmen. At this time of year, it is mixing twenty-four-seven. Well… almost. And that’s why I was concerned that the normal whir was sounding like a hiccupped whine. It is “this time of year,” and I am just about to ramp up my baking. I stood over the mixer, watching it knead the dough, debating whether to turn it off and have C knead by hand, or let it keep struggling. And just as I was about to say, “Stop!” …it did. Not exactly the way I meant. It just stopped working. For a moment, I stared in shock. What am I going to do now? I wondered to myself, thinking about the dozens of cookies that would not be mixed and baked for Christmas. I looked at C, my mouth still hanging open, but he was already removing the focaccia bread dough from the bowl, preparing to knead by hand. He wasn’t going to let a little mixer malfunction stop him. I swallowed hard and took my cue from my son. I closed my mouth and moved on with my Thanksgiving preparations. It was a lucky thing that my mixer died two days before the Black Friday sales. I got one heckuva deal on a new one—one that is (according to W) almost twice as powerful. I’m looking forward to my holiday baking. If I really think about it, my mixer died at the best possible time! The other night, I had to take a quick run to Target. As I was putting up our Christmas tree, I realized the string of lights that I use around the trunk wasn’t working (yes, I put lights around the trunk before I put on the rest of the lights. I believe it adds depth or some such nonsense…). I didn’t have extra bulbs (or patience) to work through all of the lights on the dark end of the string in order to figure out what was wrong. And since W has been after me to get LED lights, this was going to be my first tentative step in his direction…. “I wanna come!” J announced. “Okay,” I replied, but then I backtracked. “Wait. Didn’t you say you have a lot of homework?” I’ll admit it would have been more fun (albeit more expensive) to peruse the aisles of Target with my daughter in tow than to do so alone. 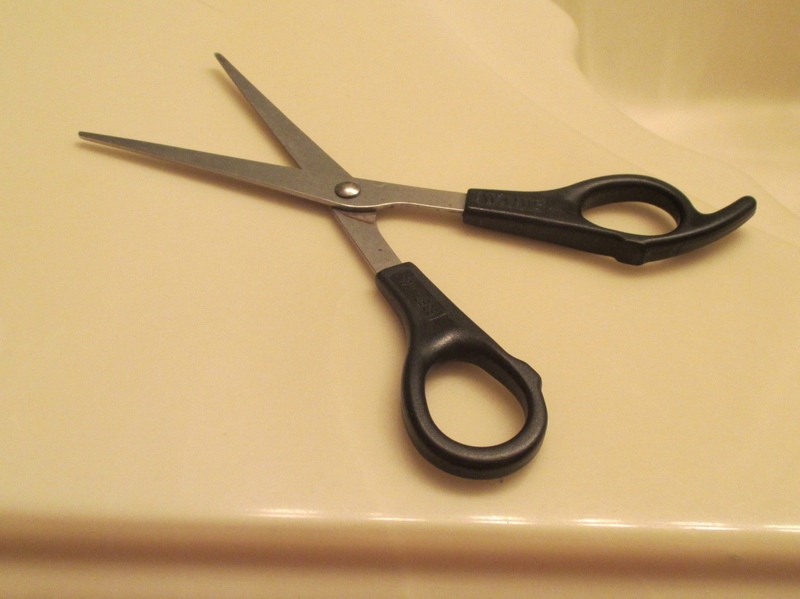 “Some hair scissors,” she repeated, as if I had difficulty understanding her language. (And I will admit that sometimes, I just might. But not this time…). “Um, no.” Since she has a scheduled hair appointment this week, I certainly wasn’t going to buy her scissors with which she could create a disaster, or even attempt one. Perhaps she had forgotten about the time—the day before W’s baptism—that C took a pair of scissors to her hair. Right. In. The. Front. But I digress…. “I’m not going to ruin it,” she read my mind. “Just trim some of the …” she paused. “Extra.” She waved her hand toward some little flippy pieces that wouldn’t be there if her mother was willing to make her hair appointments monthly rather than bi-monthly. And pay for said extra hair appointments. “No.” My cynical response left no room for question. Or comment. She grunted in half humorous teenage disgust and retreated to her room. She didn’t really think I was going to buy her hair scissors. At least I don’t think she did…. Did she?